One of our Customers Laura Cassidy from www.lauracassidydesign.com who specialises in Millinery and Jewellery Making has just returned from Cambodia where she was part of a voluntary teaching project run by the SCOOP Foundation. She spent 4 weeks teaching the pupils (whose ages ranged up to 19 years) English and various Arts and Crafts which included Jewellery Making . The children only have access to notepads and pencils so she had to supply her own resources for what ever projects she had in mind to teach the children. Laura approached us with her dilemma and we were very touched and taken by what she was about to do. The whole trip including the flight tickets was funded by Laura, so when she asked for help we were more than happy to supply some Beads, Elastic , basic Jewellery Findings and Jewellery Making Tools for her to take with her. Here's a email from Laura to us after she had returned. I returned from Cambodia last week and I have just sent you a link to my photographs of the children and teenagers making jewellery with the tools and resources you kindly donated. The projects were amazing and the children, teenagers, volunteers and local teachers were delighted with the resources. 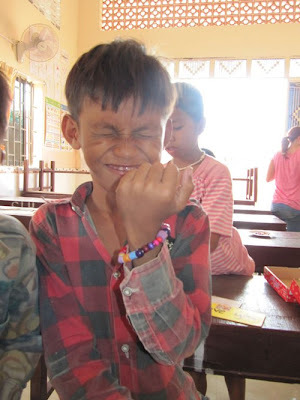 We made simple bracelets with the younger children in the school and used the pliers and findings with the teenagers. The photographs speak from themselves in showing you how engaged and delighted the students were. The school stemmed from an orphanage that is now called a children centre with additional classrooms. I brought the tools and resources here after completing the projects in the school. I worked with the small group of children and teenagers who live at the centre. The older students were then teaching and helping the younger ones. The jewellery they made is now displayed in a cabinet and on sale to volunteers and visitors to the centre. An American charity who is also involved in fundraising are going to take some of the jewellery back to America to sell them there. All in all it was an amazing trip and an amazing experience to teach the children and watch them create. This could not have been possible without your donations. Here are a few of the images Laura sent to us - they just go to show what an amazing thing Laura and the SCOOP Foundation are doing. 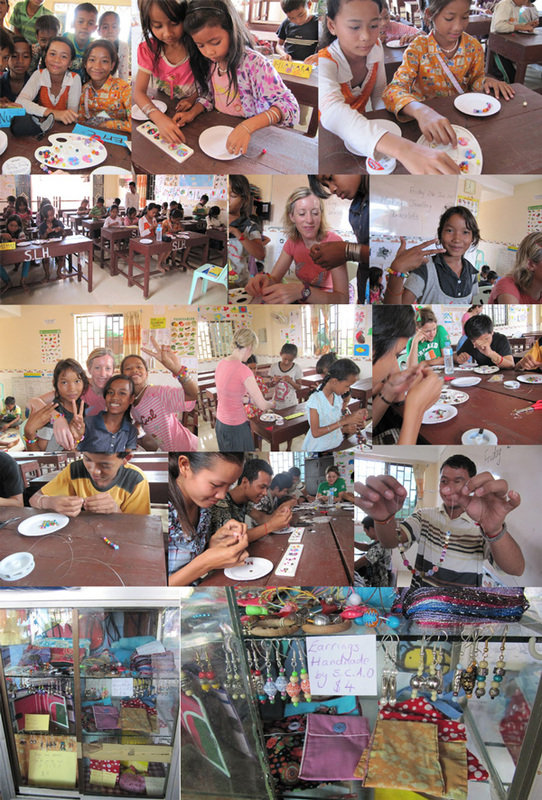 The smiles on the children's faces speak for themselves and just goes to show how much fun making jewellery can be. 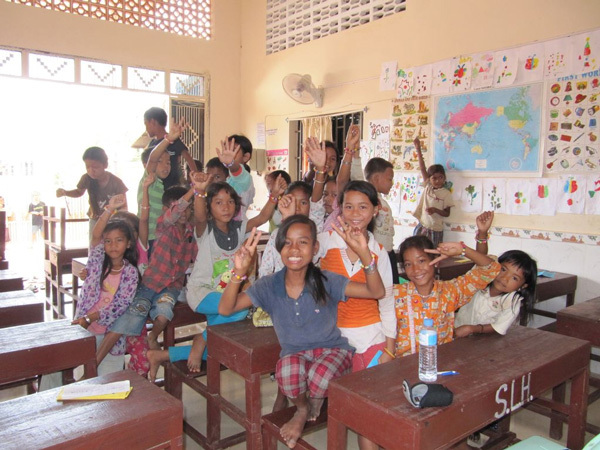 They are continually looking for volunteers to help with various teaching projects in India and Cambodia.